Our service process would take appropriate analytical approaches to assist clients in making key IP decisions in four major markets. 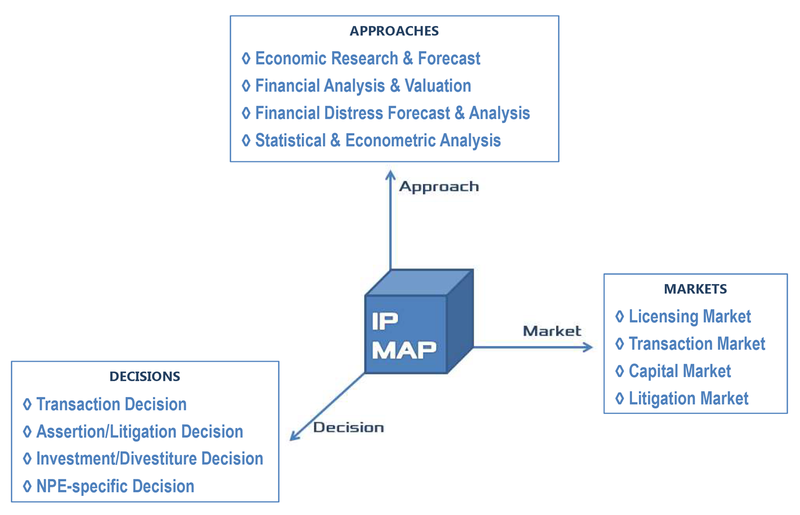 IPMAP is an IP consulting firm that offers data-driven economics and finance for IP decision-making in licensing market, transaction market, capital market, and litigation market. 2019 IPMAP LLC. All rights reserved.